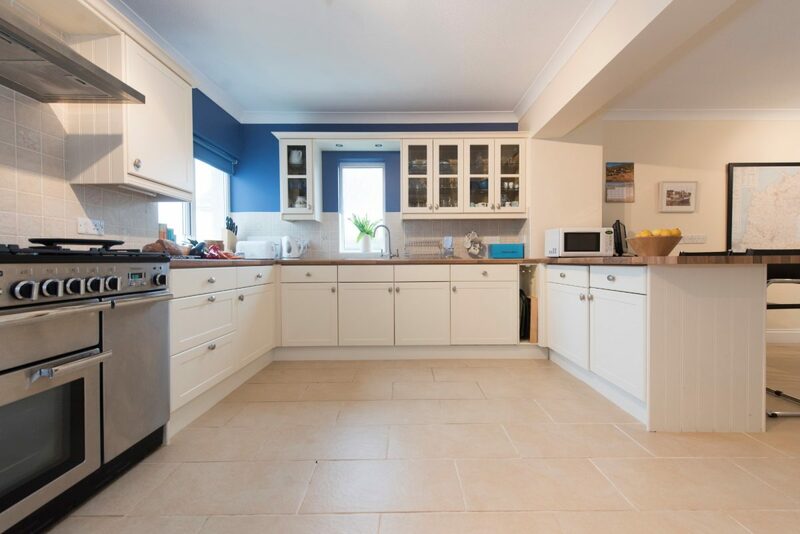 Claiming its spot near the start of the Camel Trail, moments from the main town yet boasting all the benefits of being set back from the hubbub, Flinders is a grand and impressive find ideal for families. 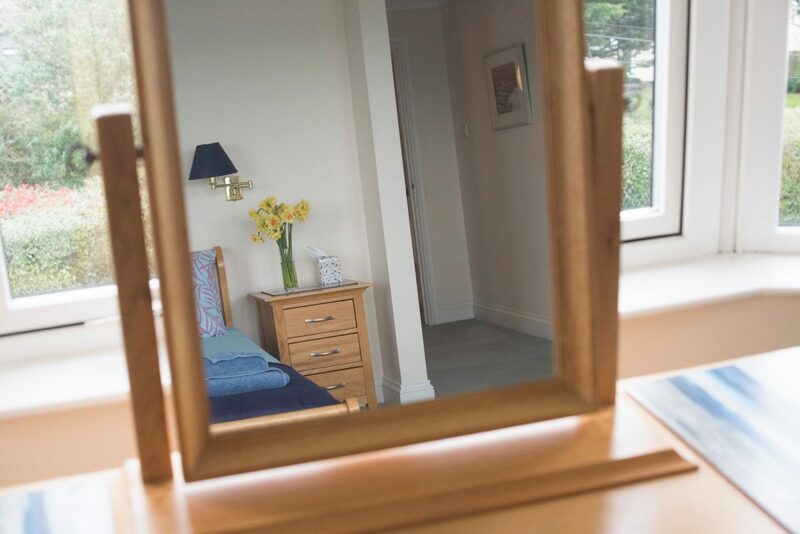 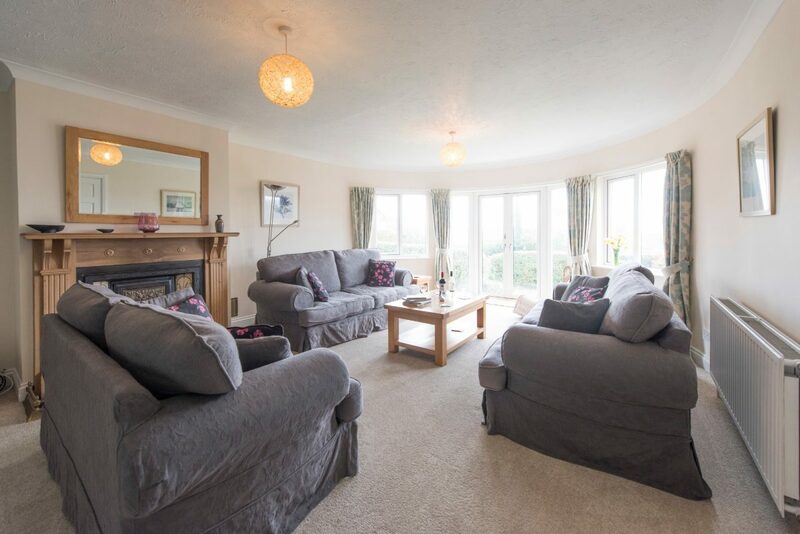 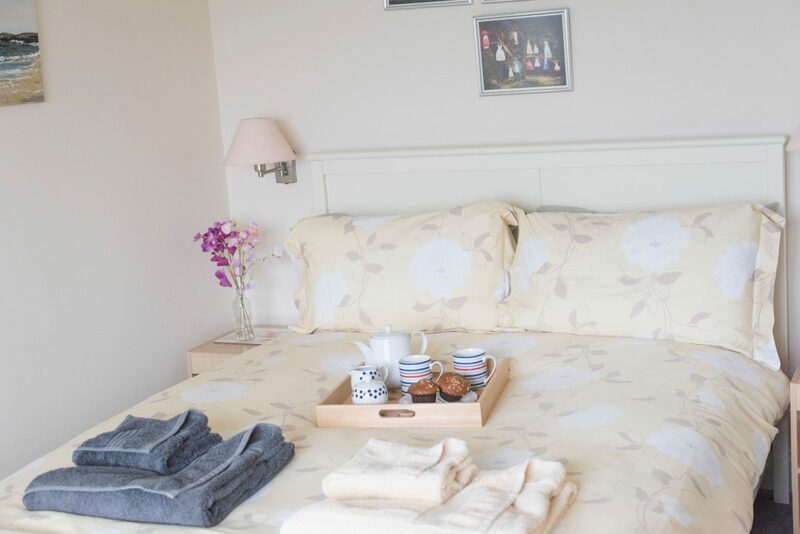 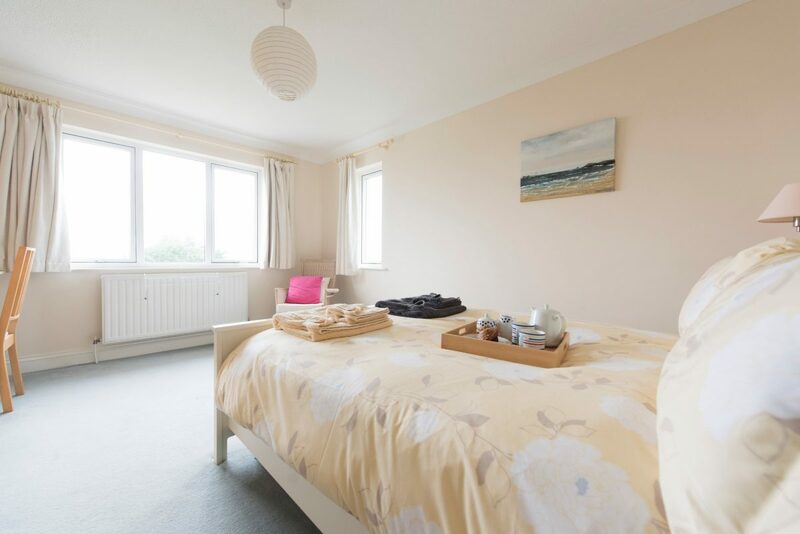 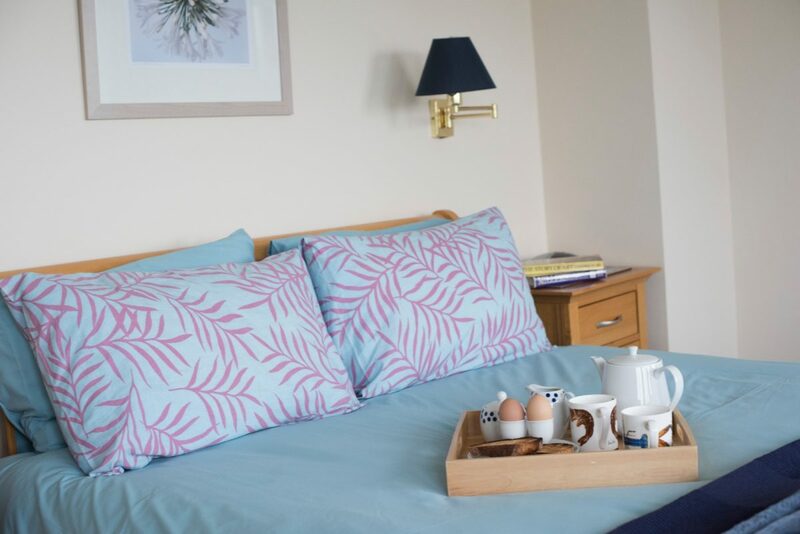 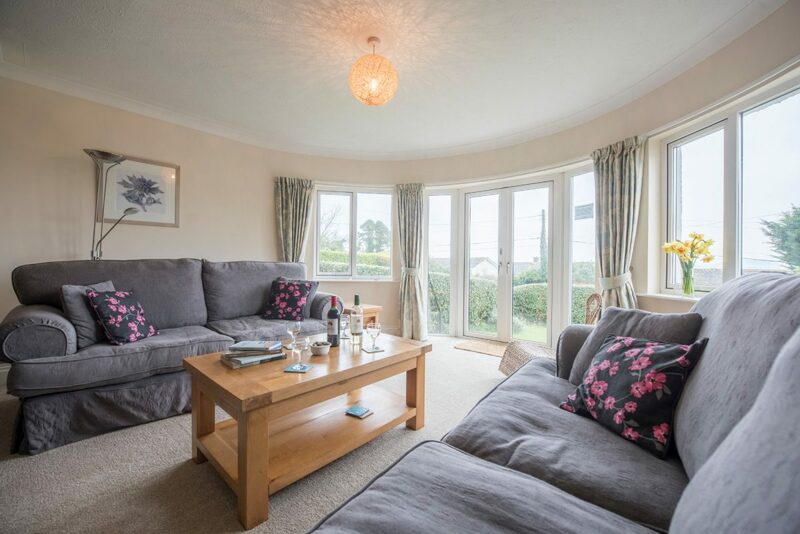 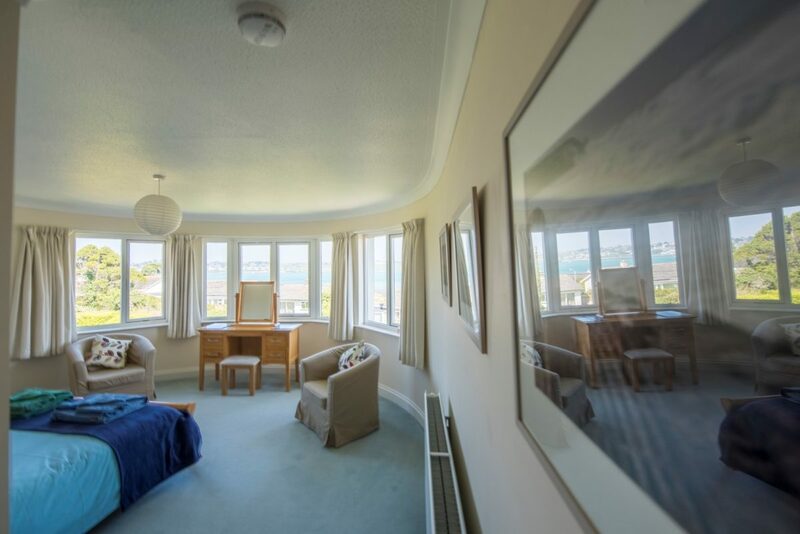 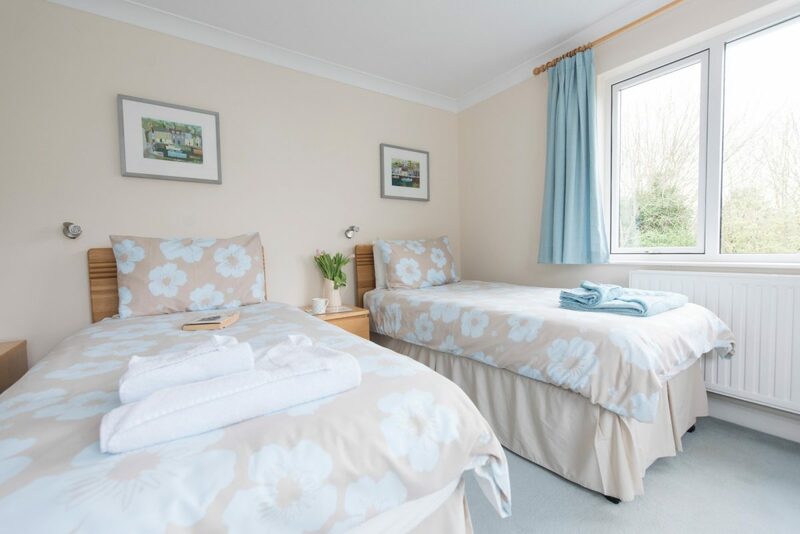 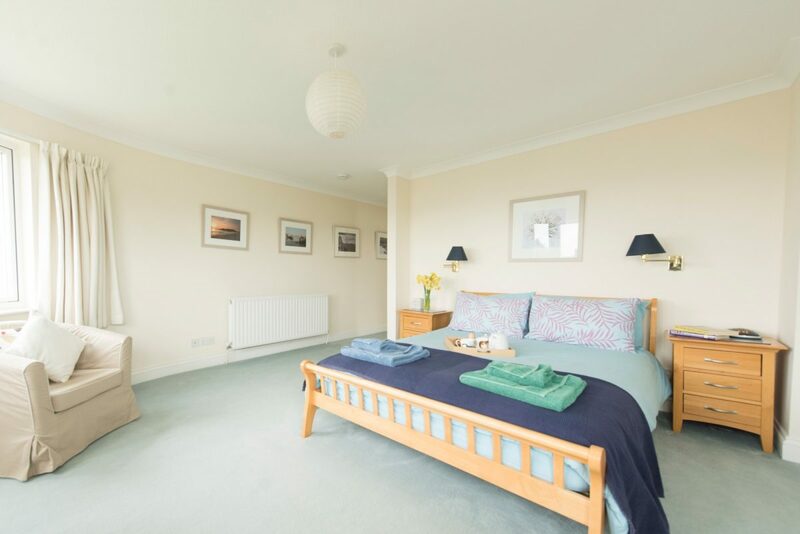 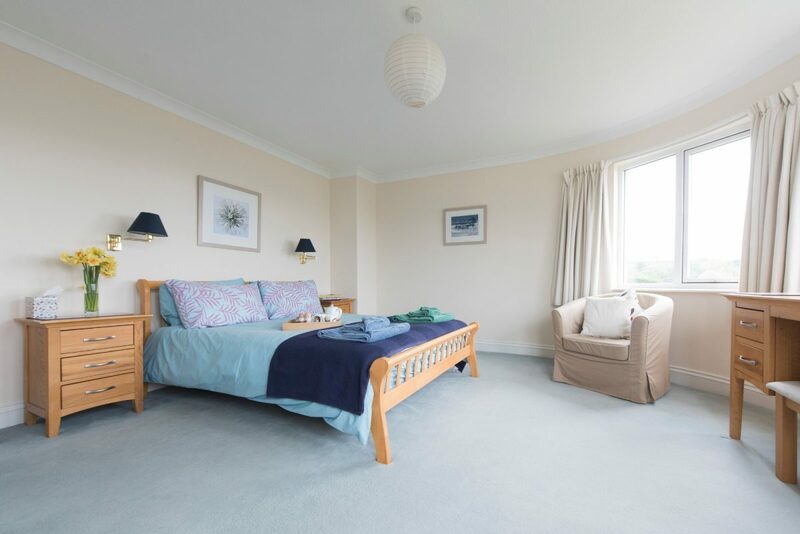 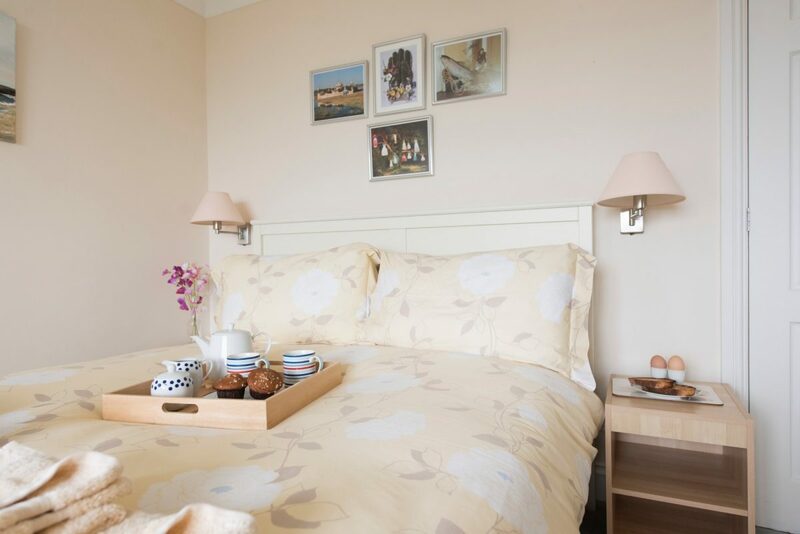 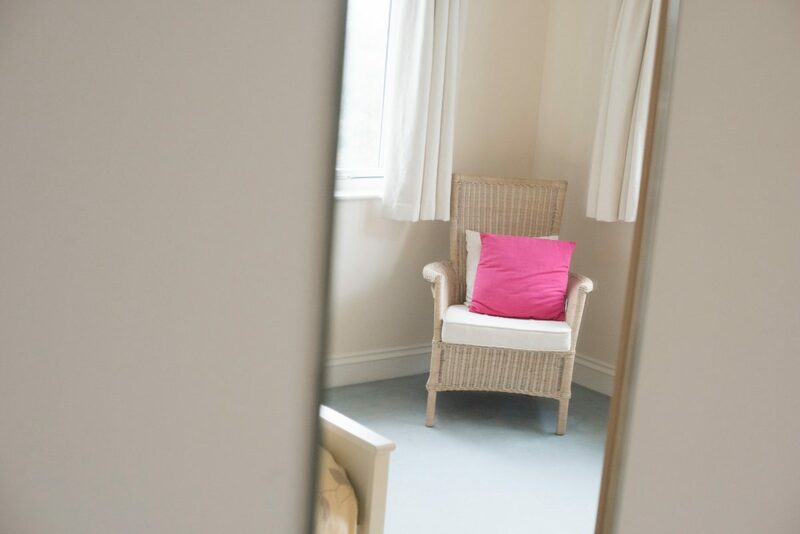 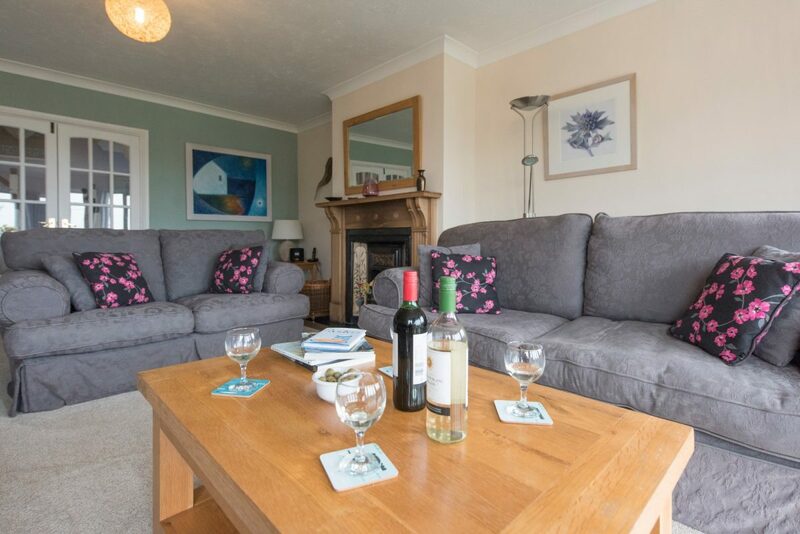 With a large lawn and patio area, parking, two living rooms, spacious bedrooms and incredible estuary views, there’s ample room for you to make more of your stay. 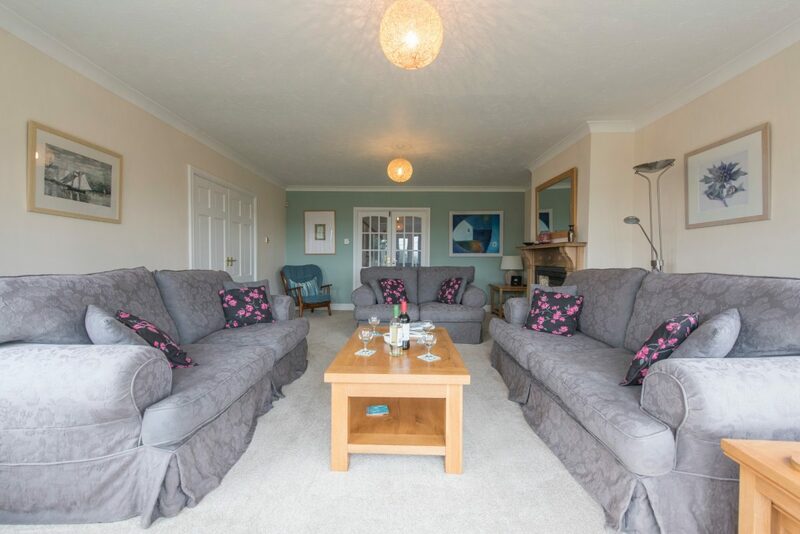 A well-stocked games store and ping pong table, a large conservatory for soaking up the early afternoon sun and plenty of space outdoors to keep everyone entertained. 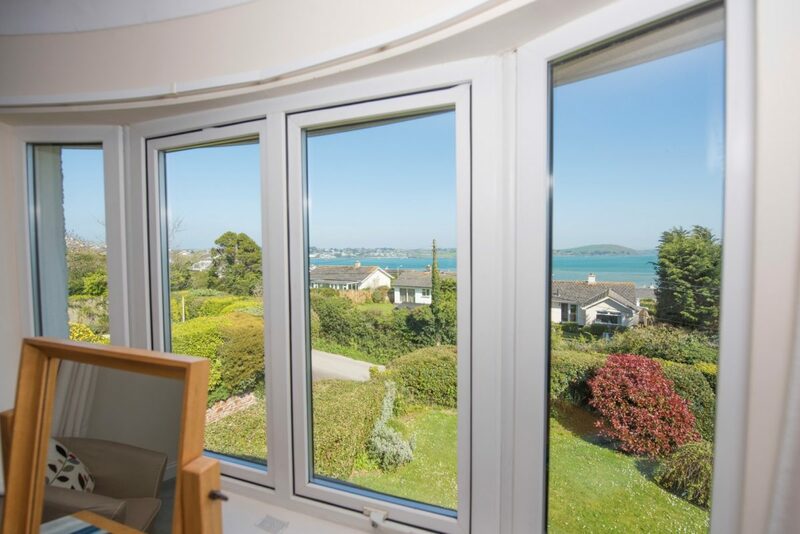 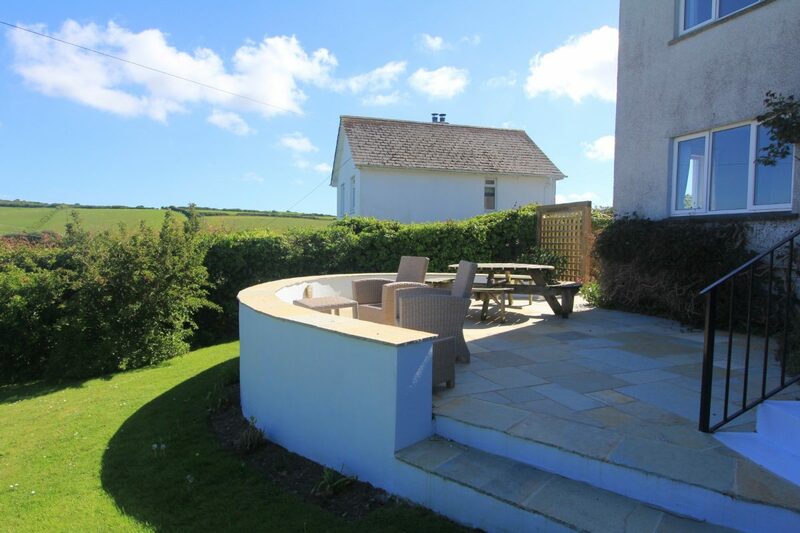 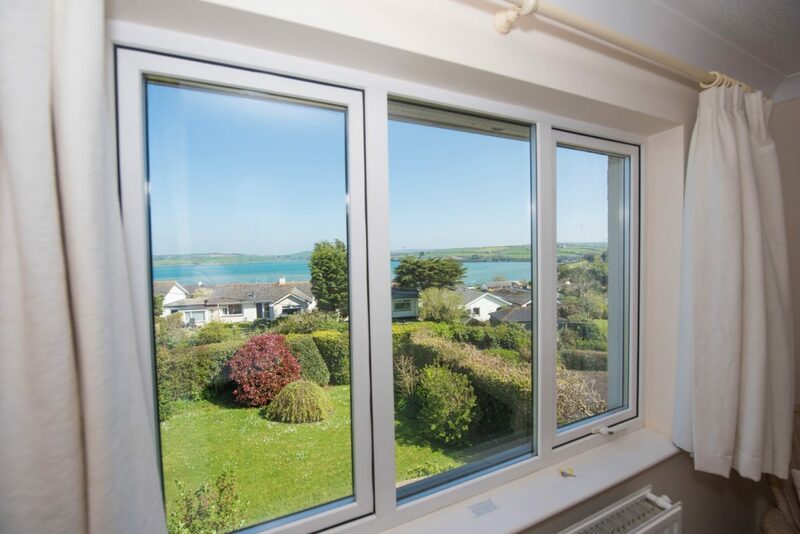 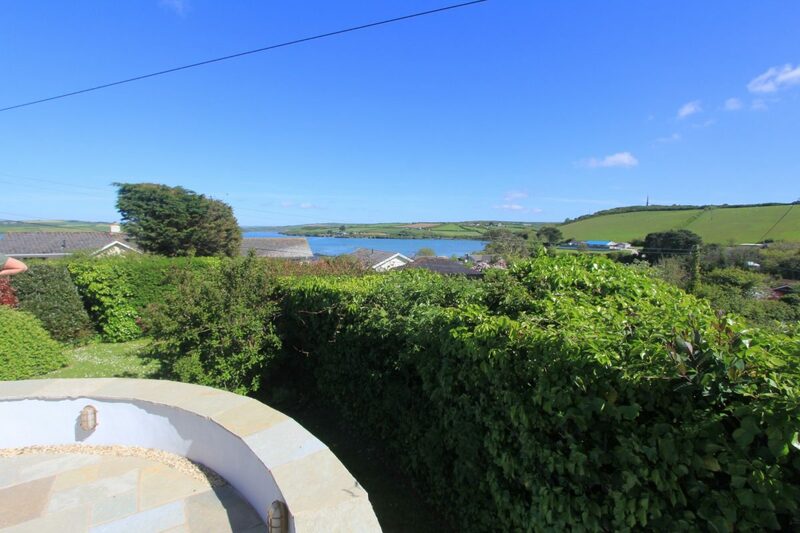 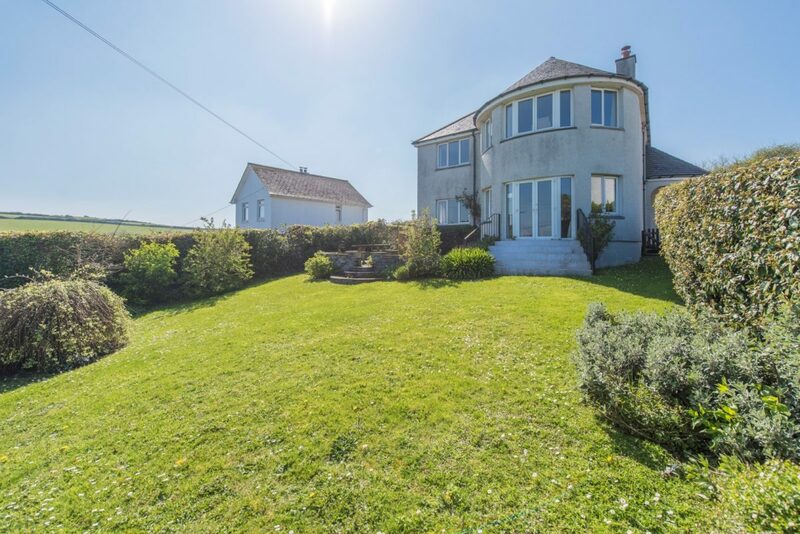 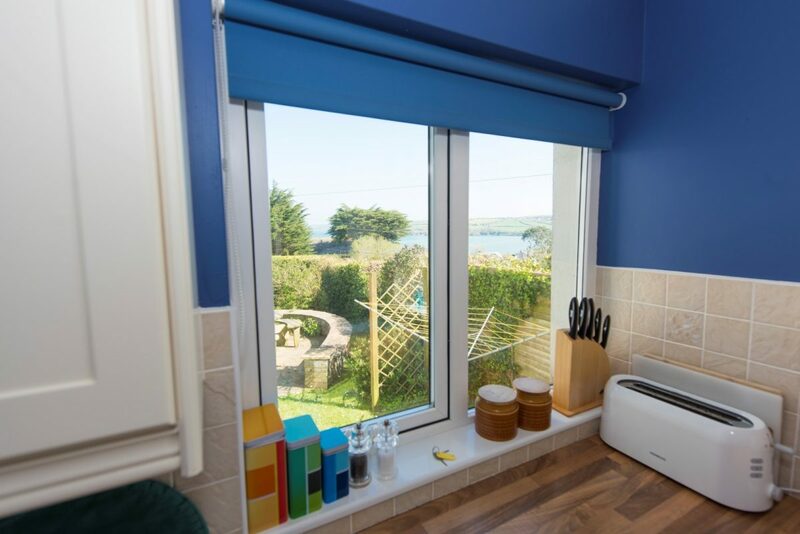 Stroll for a few minutes and you’ll be watching boats bob in the harbour, choose some locally-landed fish to cook up in the modern, high spec kitchen, spend an afternoon lounging in the conservatory, or fling open the French doors and let your brood play on the lawn. 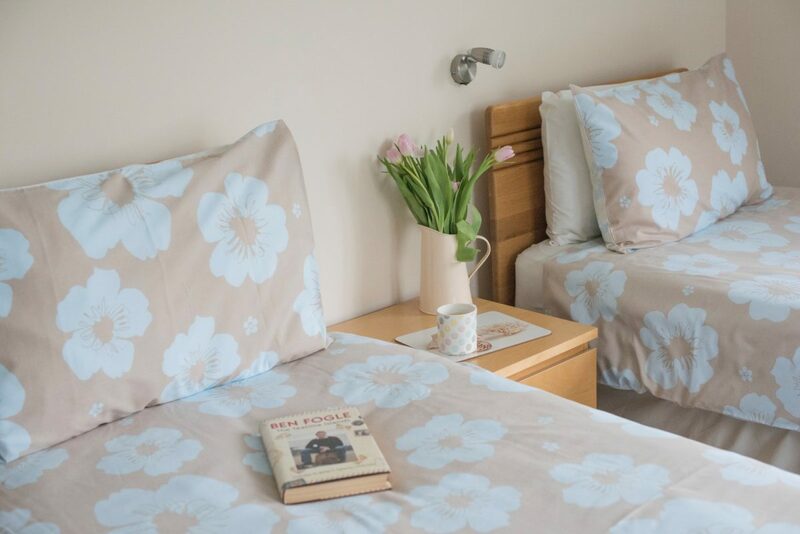 There’s room for every holiday experience at Flinders. 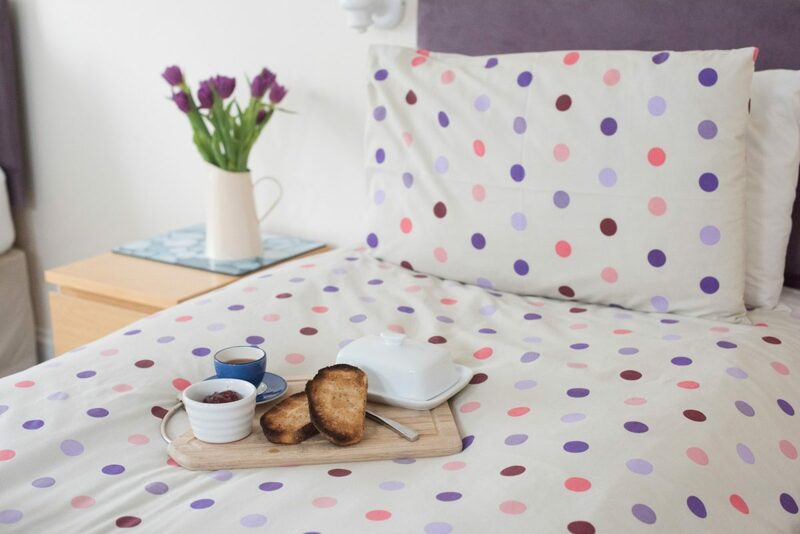 How will yours unfold? 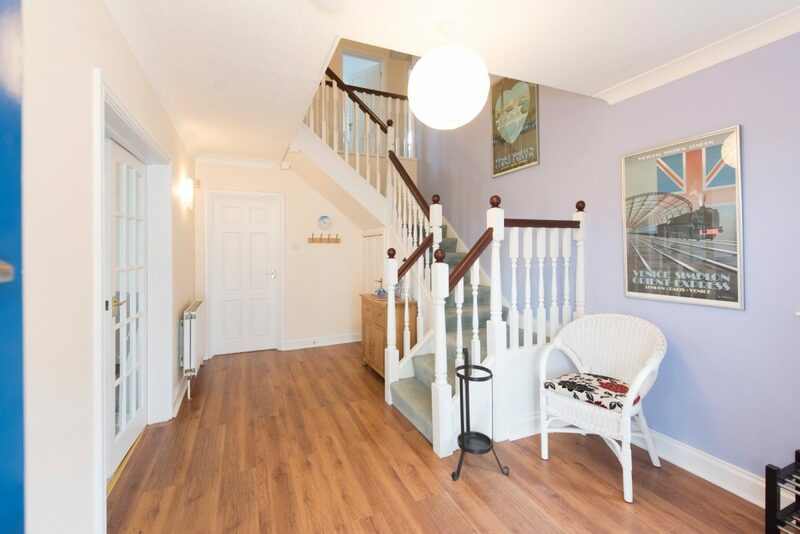 As you approach the property there is 1 step up onto the entrance porch and then 1 step up and over the front door. 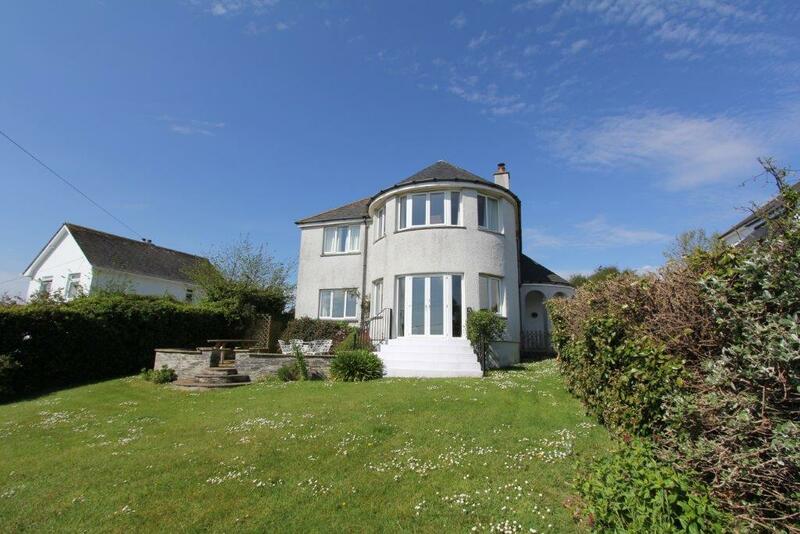 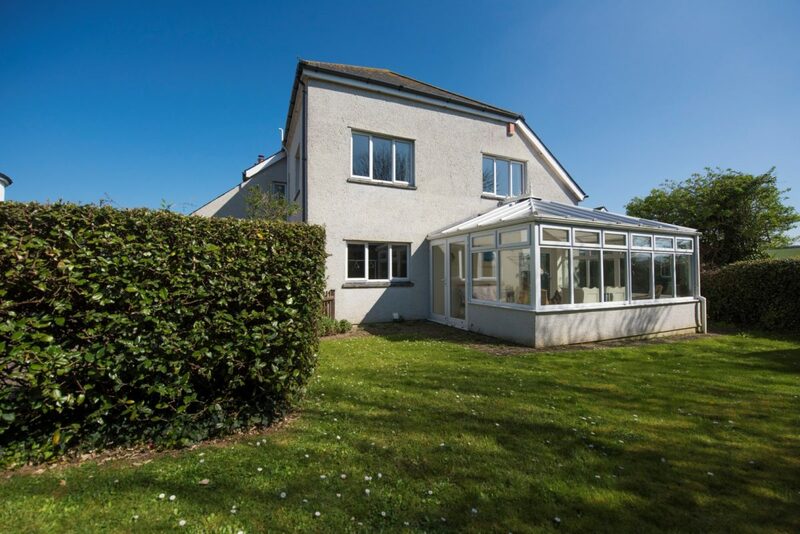 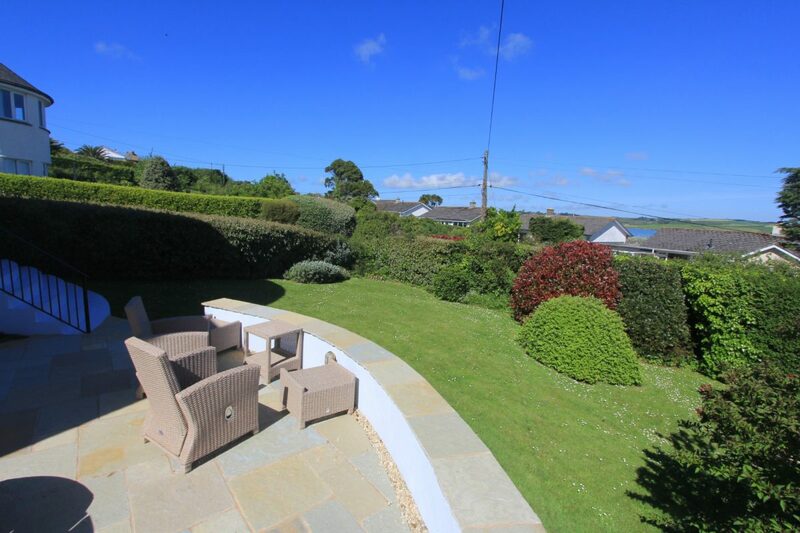 From the lounge are patio doors which take you out to the front garden with 6 steps down onto the lawn. 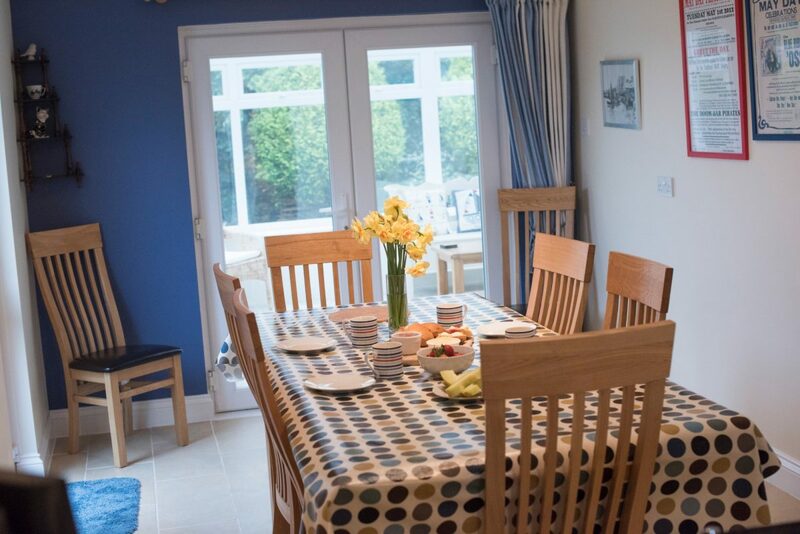 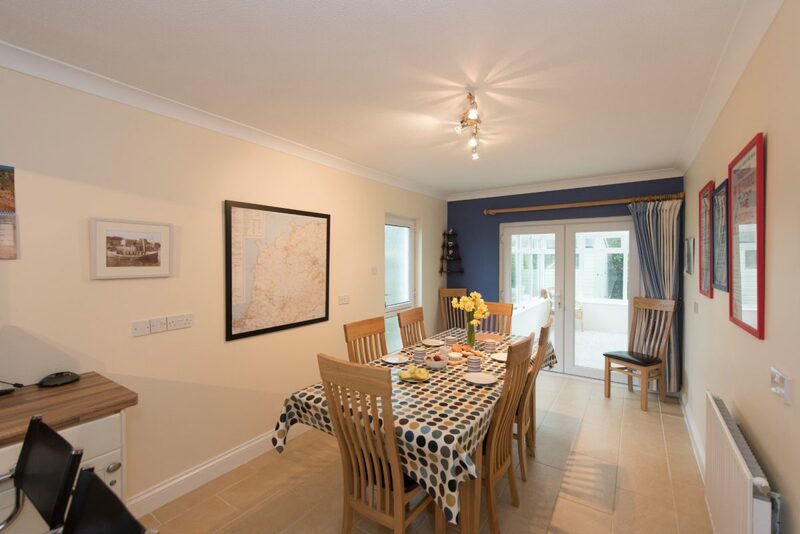 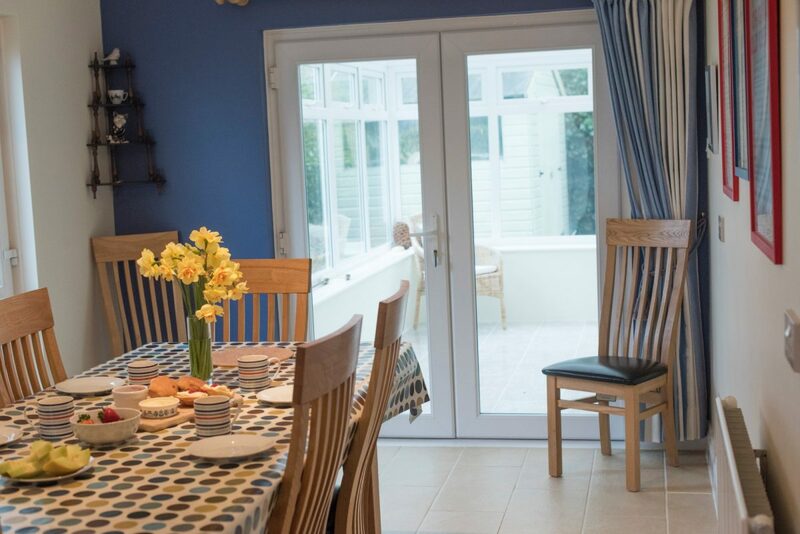 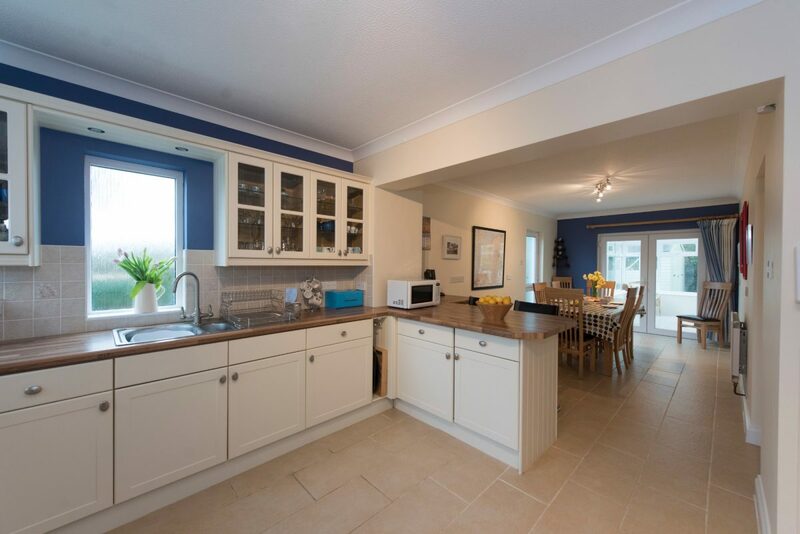 From the dining room is a door to the garage which has 2 steps down and the back door has 2 steps out onto the side passage which has access to both the front and back garden. 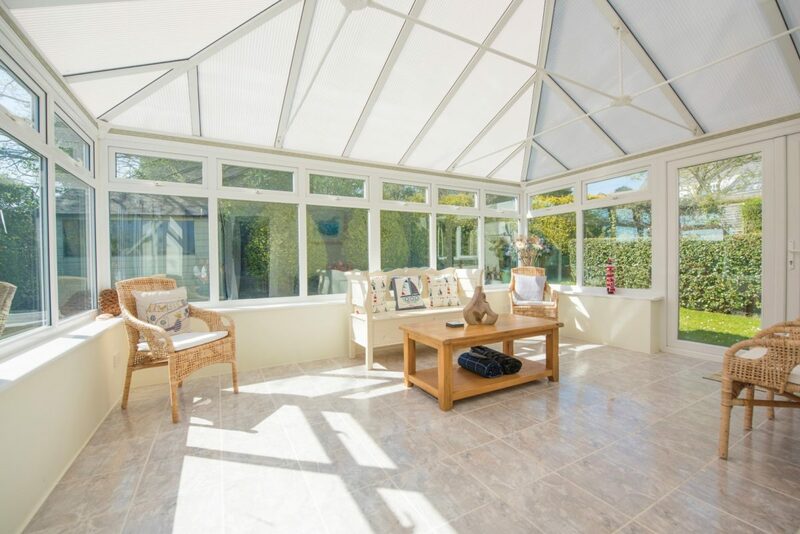 From the dining room through to the conservatory is 1 step over the door frame and then a further 1 step exiting the conservatory into the back garden through double doors. 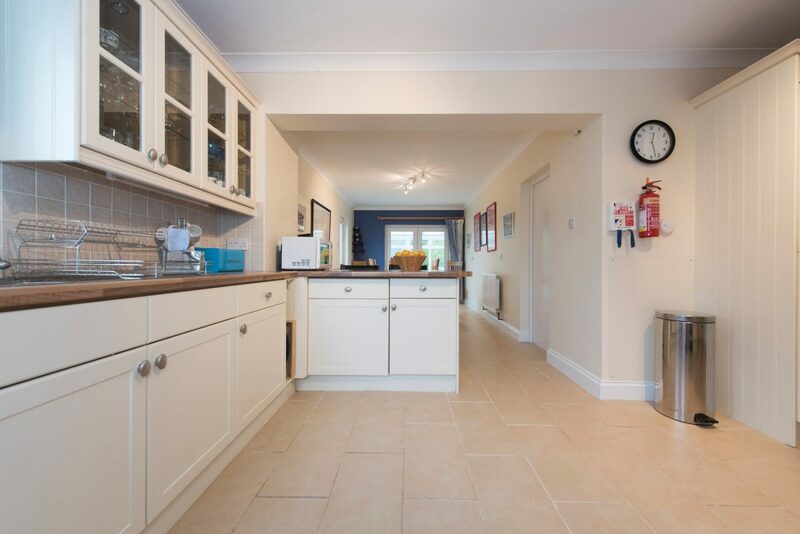 To get to the 1st floor from the entrance hall are 16 steps up and then all rooms are on one level. 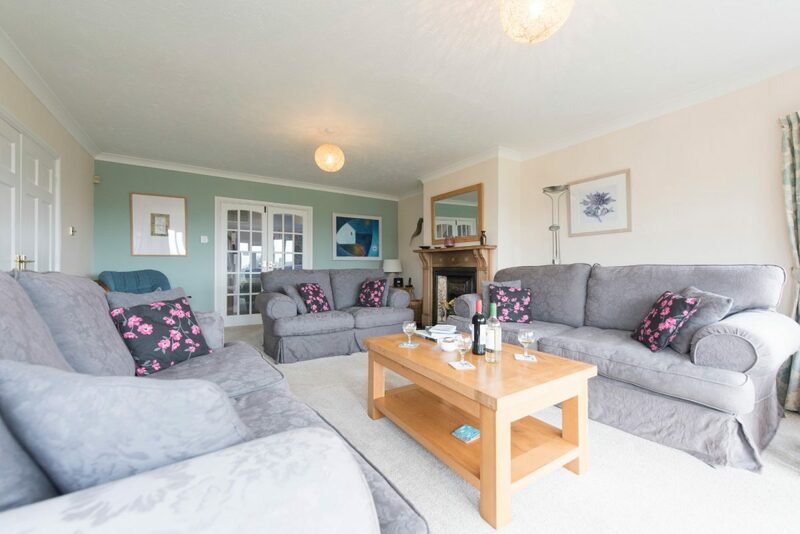 Harbour Holidays cannot be held responsible for the WIFI connection as we are reliant on external parties for this. 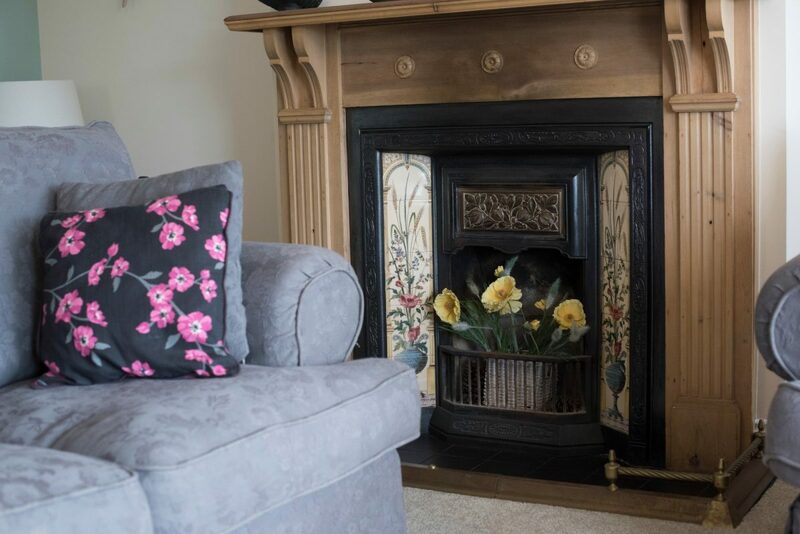 Please do not use the WIFI access to download movies/music etc, as some connections do have ‘download limits’ and if they are used up may not be replenished until the next month. 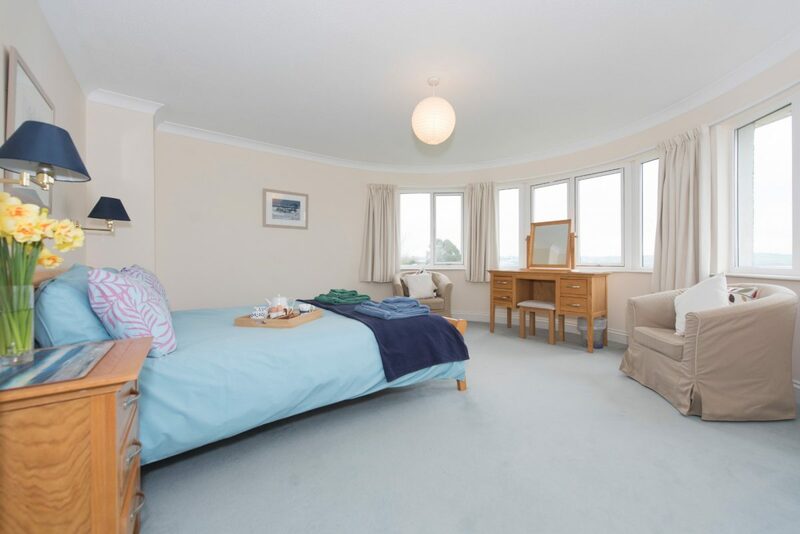 The router is in the lounge. 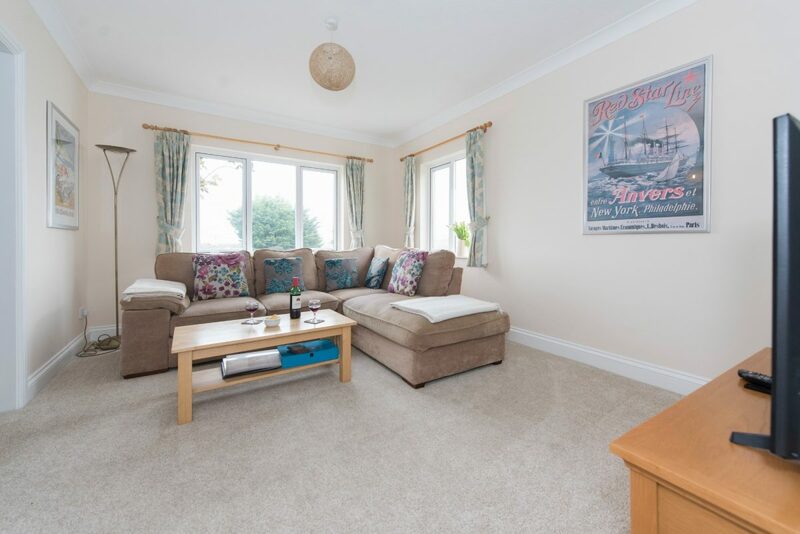 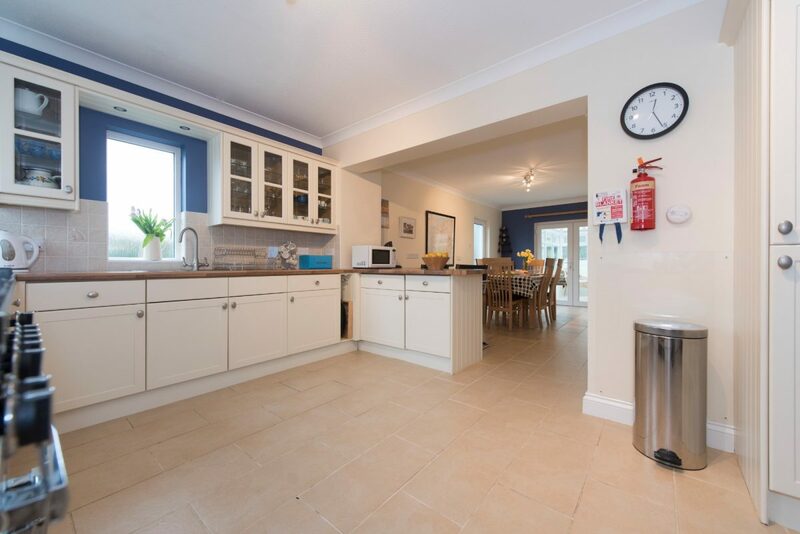 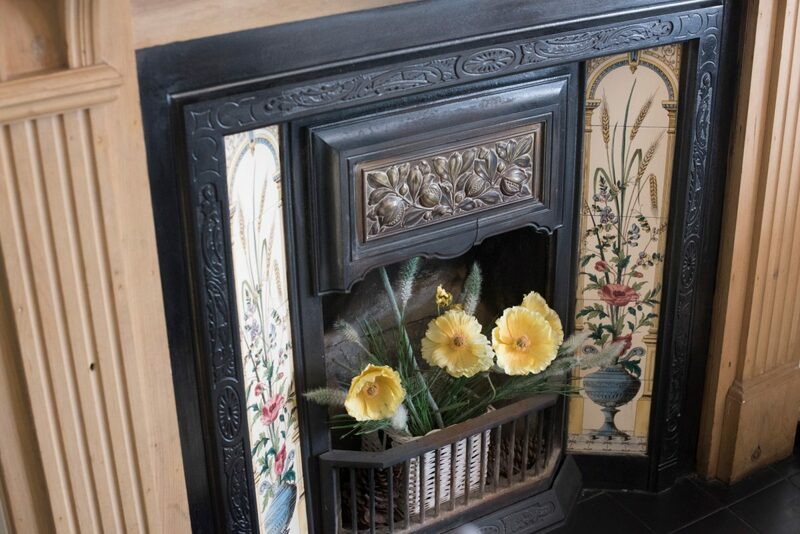 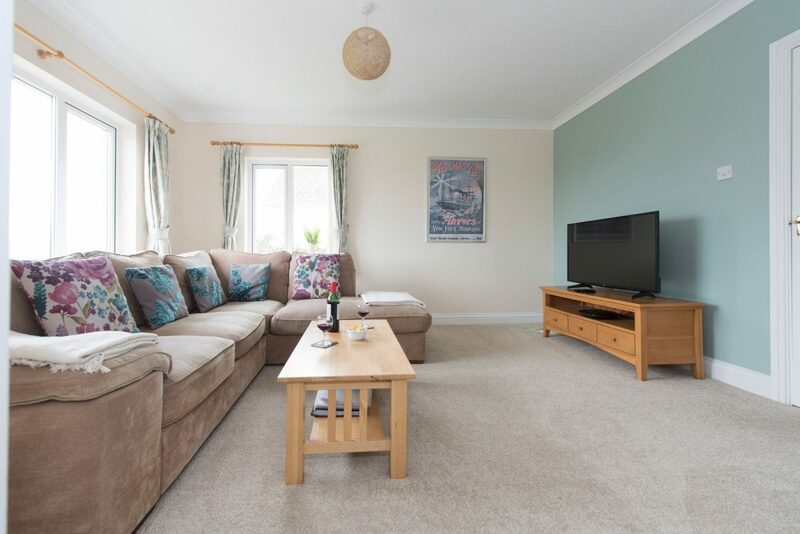 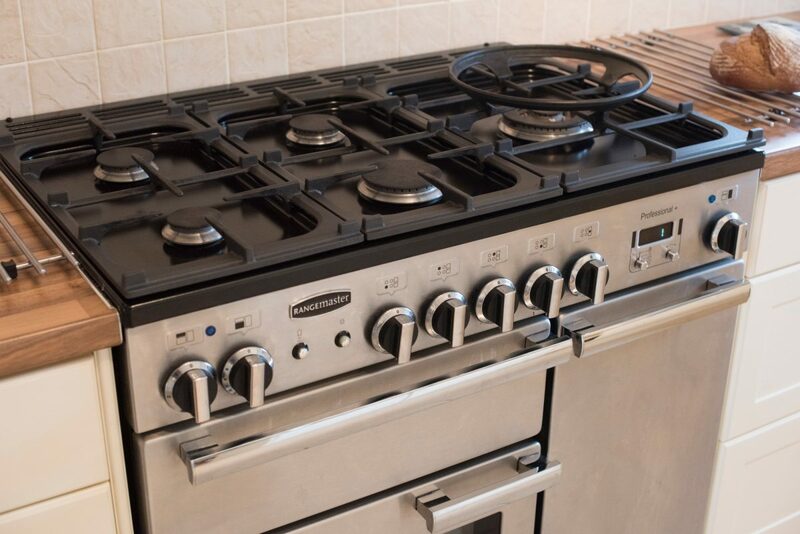 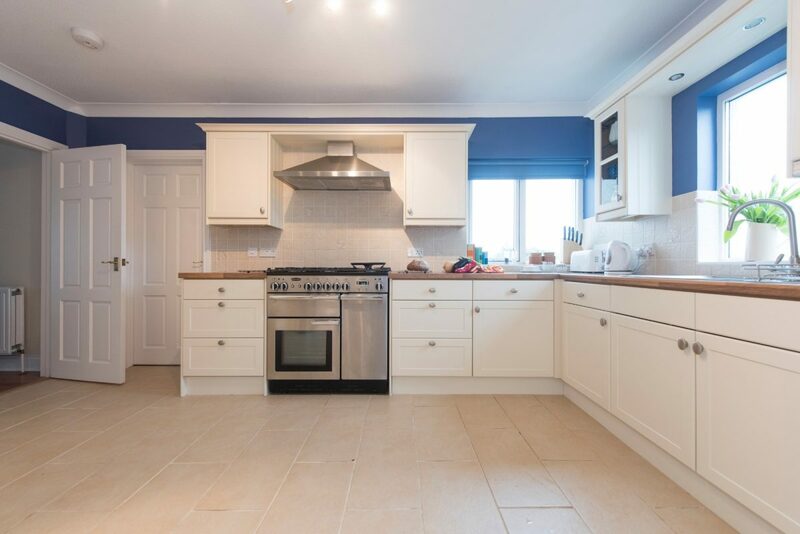 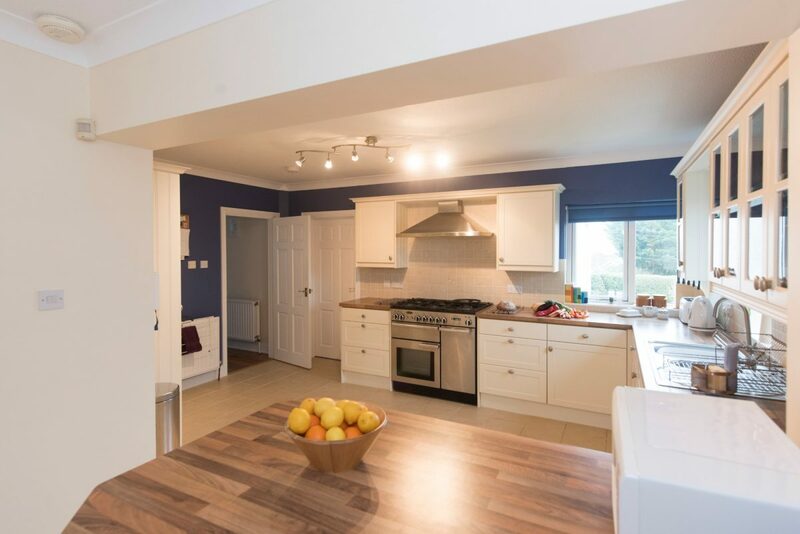 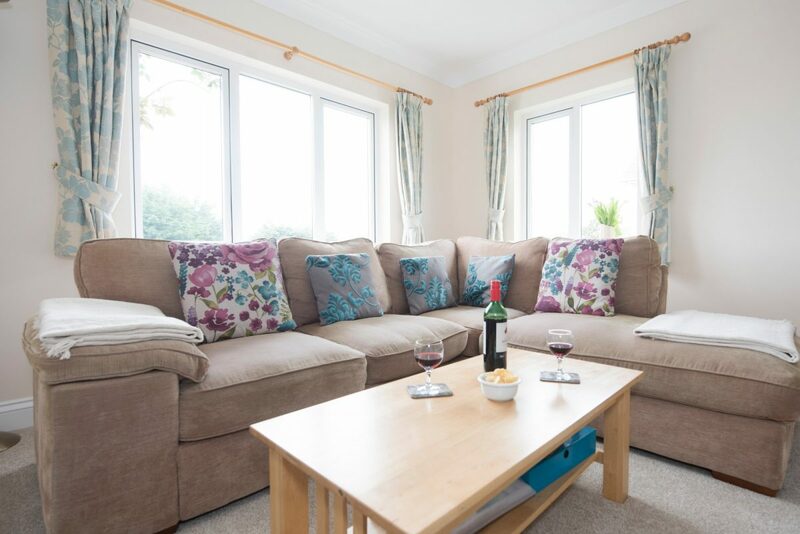 A living room, a kitchen/diner with a gas and electric oven with a gas hob and a fridge/freezer (½ fridge, ½ freezer), a family room/snug with TV and DVD player, conservatory and a WC with washbasin. 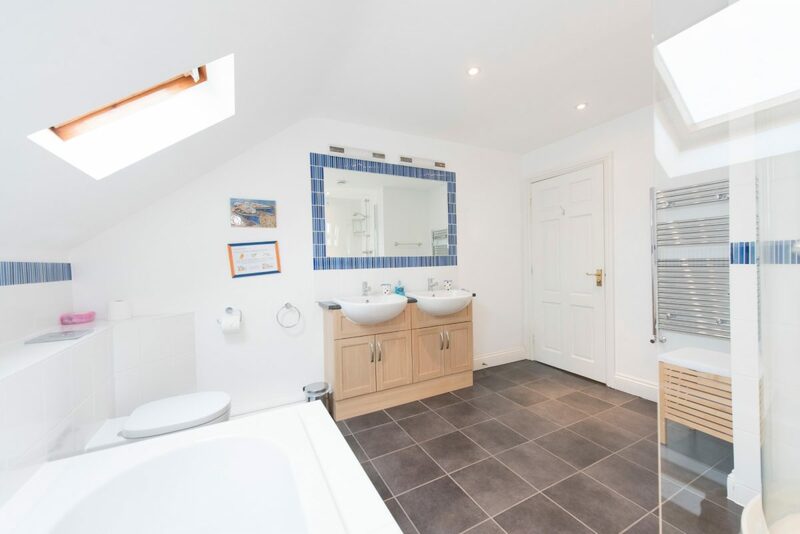 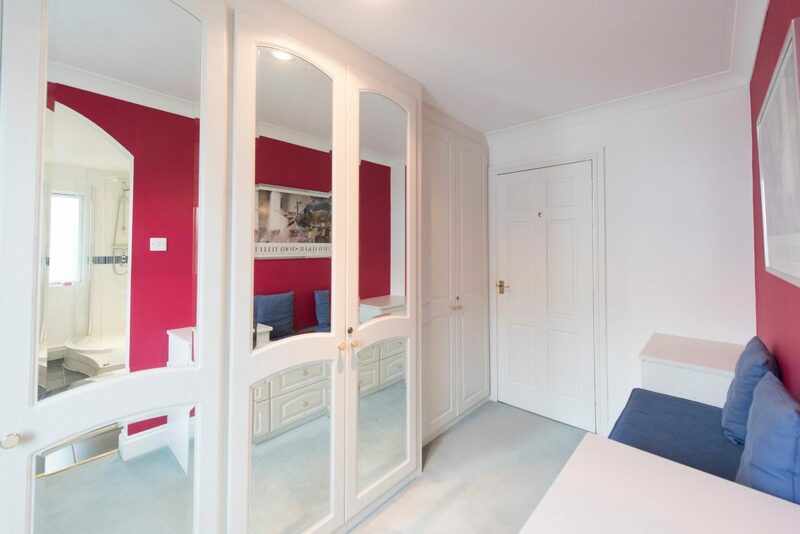 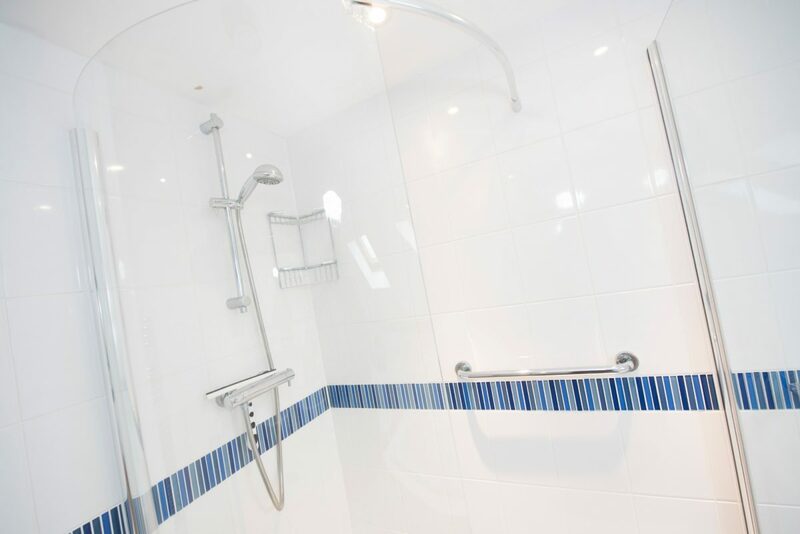 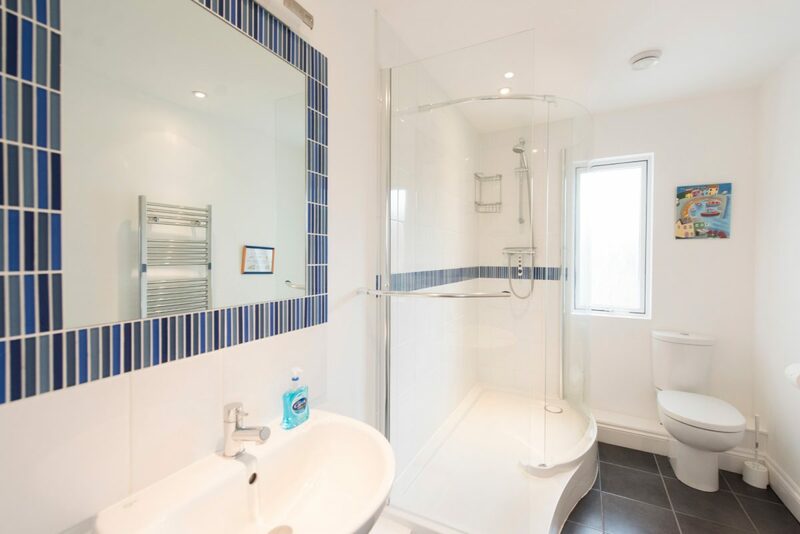 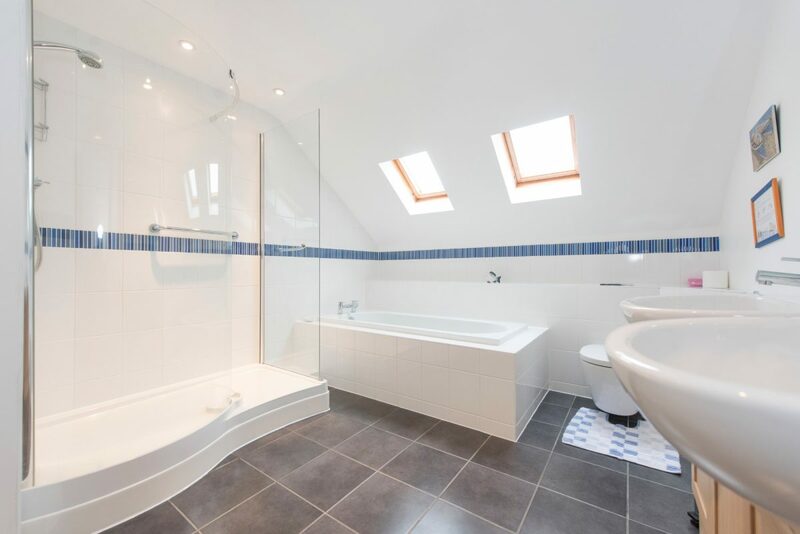 Master double bedroom with dressing room and en-suite with shower, WC and washbasin, 1 double bedroom, 2 twin bedrooms (these can be made into superking doubles on request) and a family bathroom with bath, separate shower, WC and twin washbasins. 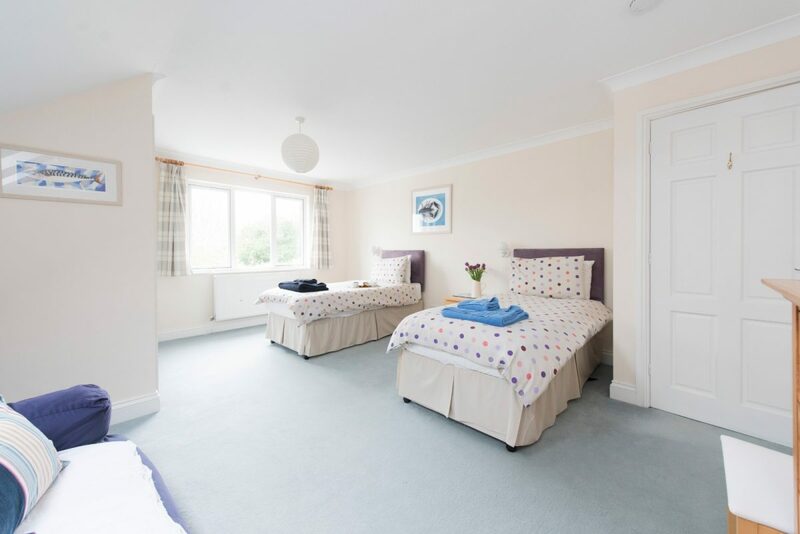 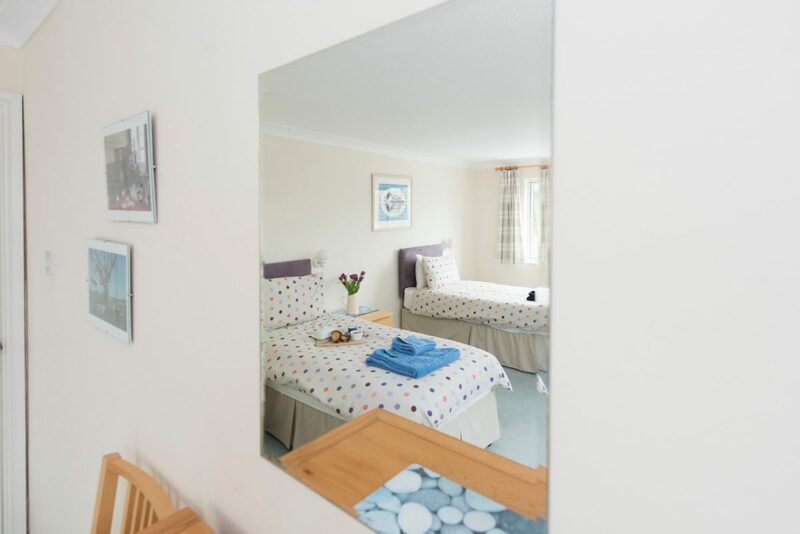 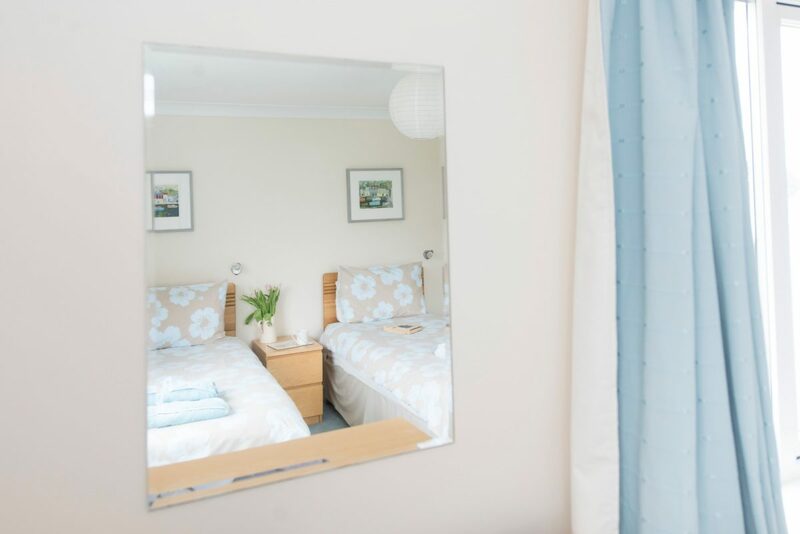 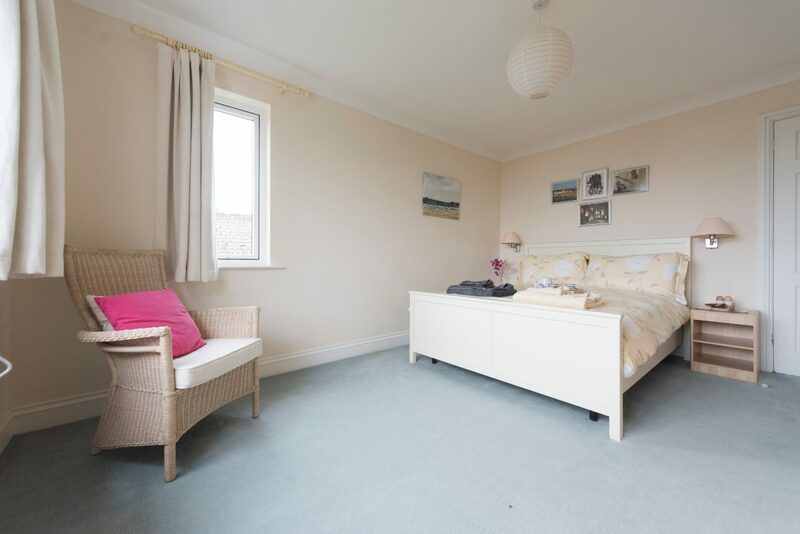 Bedroom 3: A twin bedroom (3ft beds) – can be made into a zip and link superking, please let us know at time of booking of you would like this option. 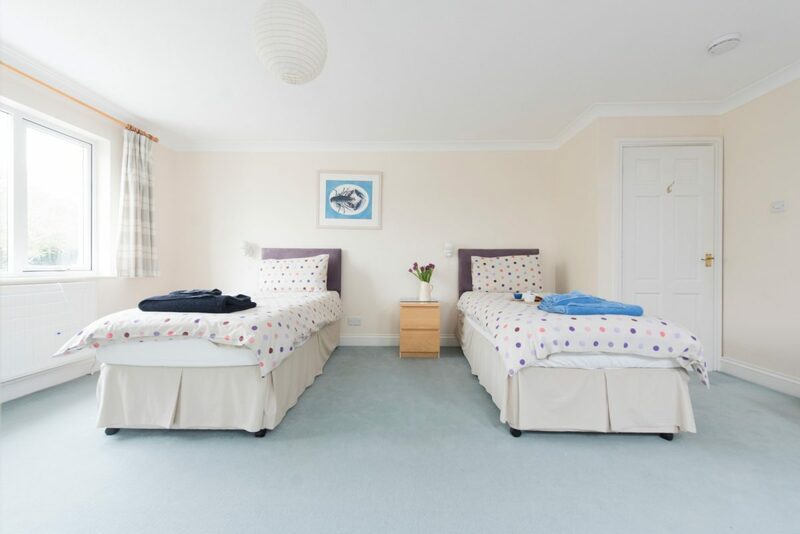 Bedroom 4: A twin bedroom (3ft beds) – can be made into a zip and link superking, please let us know at time of booking of you would like this option. 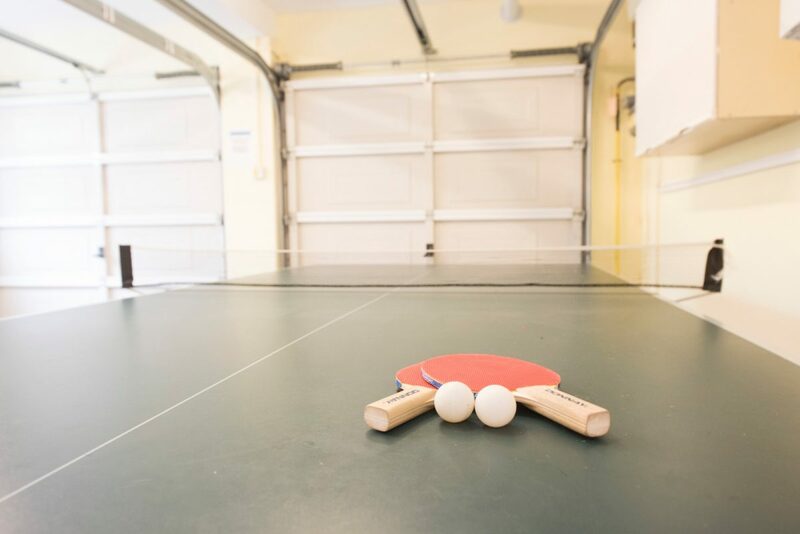 Garage (not used for cars) with a table tennis table and second fridge, parking and driveway. 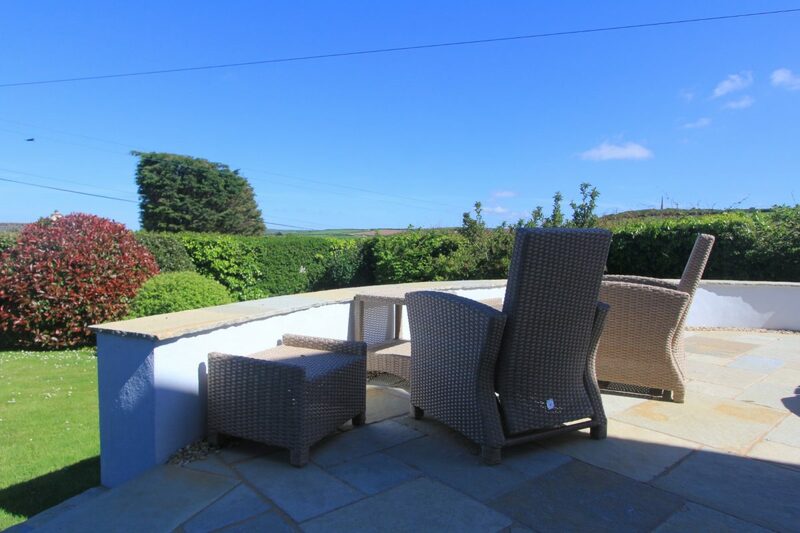 Large lawned garden and raised patio area with patio table and chairs. 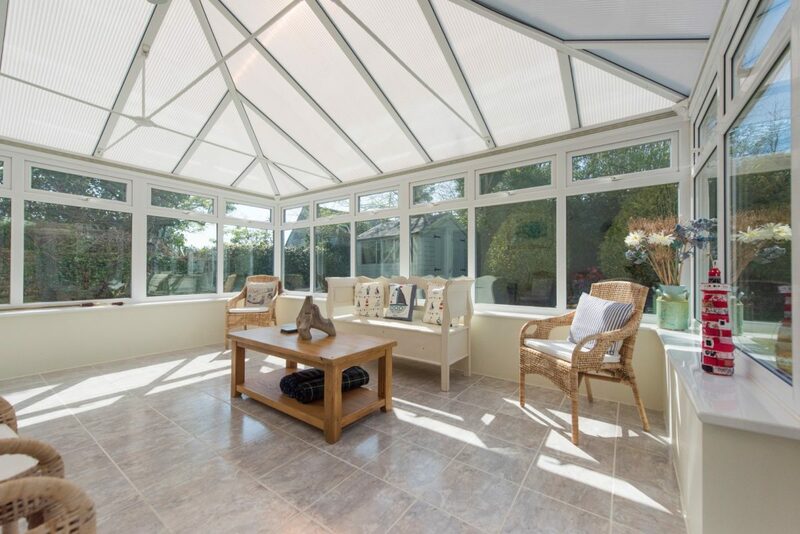 Central heating throughout except the conservatory which has an electric heater. 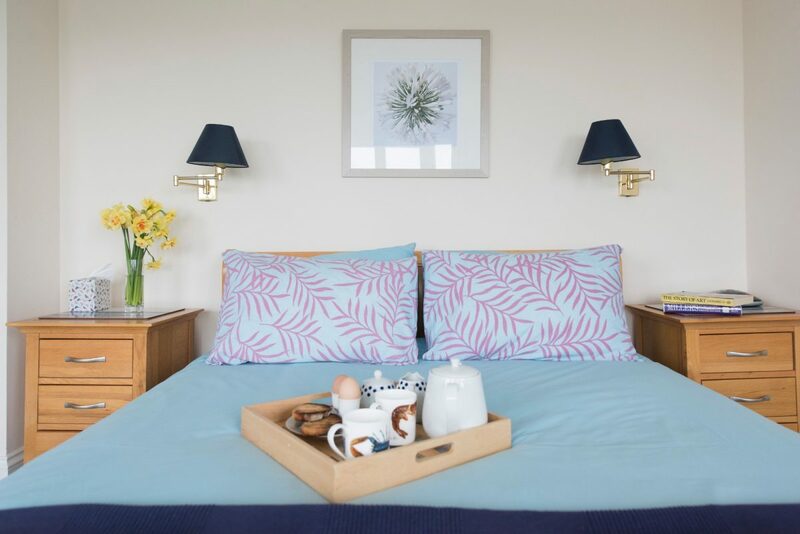 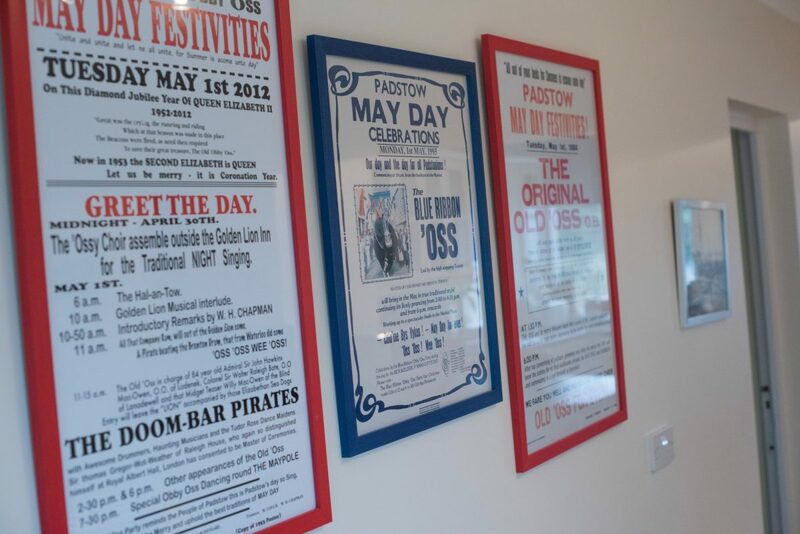 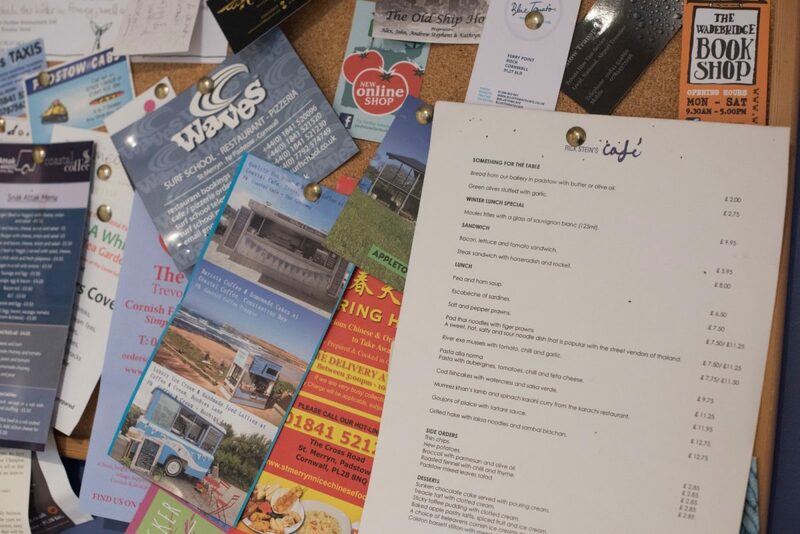 "Flinders is comfortable, warm, stylish and superbly situated, it has been a welcome retreat from the hustle and bustle of home…"
"Another lovely holiday at Padstow and Flinders! 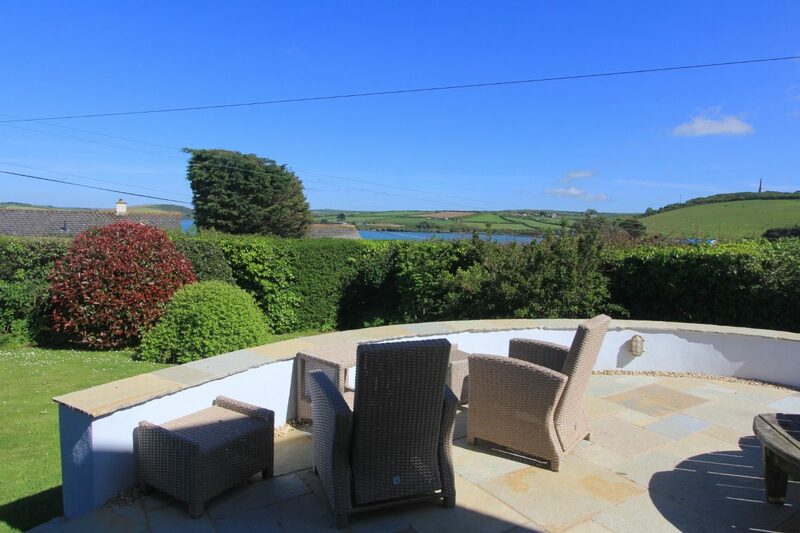 Perfect weather and beautiful house…"